The new Horror convention season is starting in less than two weeks and there will always be a plethora of stars from the Friday The 13th franchise to be found around the United States. This April, fans will have an opportunity to meet the original survivor of the franchise as well as Jason Voorhees actors past and present. Motor City Nightmares takes place the weekend of April 24-26, 2015 in Novie, Michigan and will offer the opportunity to meet Adrienne King (Alice Hardy, Friday The 13th 1980), Kane Hodder (Jason Voorhees, Part 7-8 | Jason Goes To Hell | Jason X), Derek Mears (Jason Voorhees, Friday The 13th 2009), and Thom Mathews (Tommy Jarvis, Jason Lives: Friday The 13th Part 6). 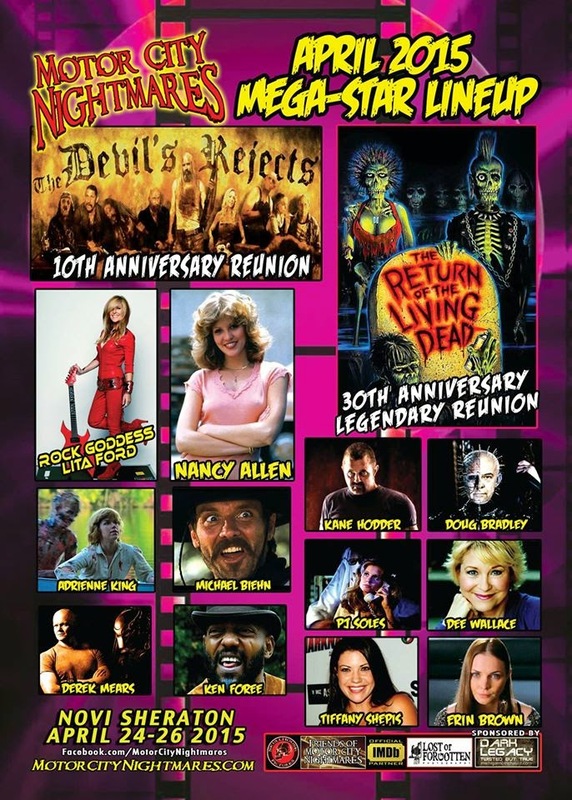 If you want to talk to these great members of the films and want to know more information about the event, please visit motorcitynightmares.com.